Marine Research Centre researchers tag a Blue Fin Trevally or Fani Handhi as it is known in Dhivehi. They did not leave bait for the next day and they did not buy it. Every morning they would head out to find a good reef and on the way there they would use trolling lines to catch that all important first fish. It would usually be one of the many predatory fish which lurk along the edges of the reef like a latti. They usually only needed to catch one as their plan was much more elegant than simply slicing the fish into bait chunks. Instead, they would grind it into a fine chum, which would then be placed inside a jar or similar waterproof container. Once they were satisfied that they had enough, the search would begin for a reef which housed an adequate number of muguraan or fusiliers. They would usually do this by sight, slowly driving along the edges of different reefs, instead of relying on fish-finders or other devices. One a shoal was spotted, the Dhoni would be left to drift near the top of it and a man would sneak into the water; making sure not to make too many splashes incase it scared the fish away. He makes sure to swim silently, disturbing the water as little as possible. 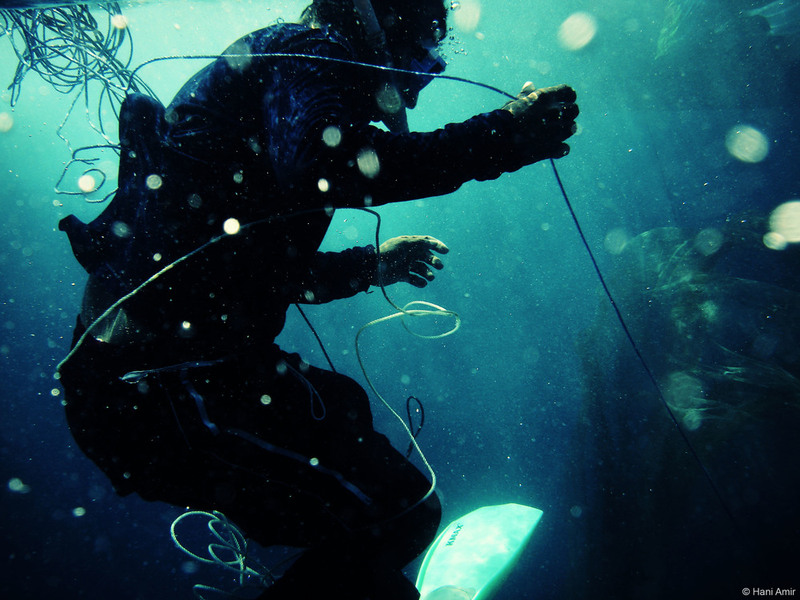 He would wear a mask, snorkel and fins and in his hands he would hold the jar full of chum. A slow and steady descent; almost to the bottom of reef. At first the muguraan would act disinterested, but a few would suddenly break formation to swim up and nip at the fresh fish. It would perk the interest of more and more of the palm sized fish and the man would slowly lead them upwards, away from the relative safety of the ocean floor. After a while the whole shoal would be in frenzy, with even a few other species of fish joining in to try and get at the chum. The net descends. The fishermen make sure to catch only the bait they are targeting. While this is happening, the dhoni would pull alongside the shoal and a team of men would descend into the water, after dropping a weighted net that usually spanned the length of the entire vessel. They would dive deep below the elevated shoal and surface on the opposite side; neatly encircling it. The net would then be hauled back in and the fish would be placed into one of the many sea-water filled tanks in the hull of the dhoni where they would be kept alive for the rest of the day. If they hadn’t caught enough by this point they would simply use one of the muguraan for chum and repeat the process. 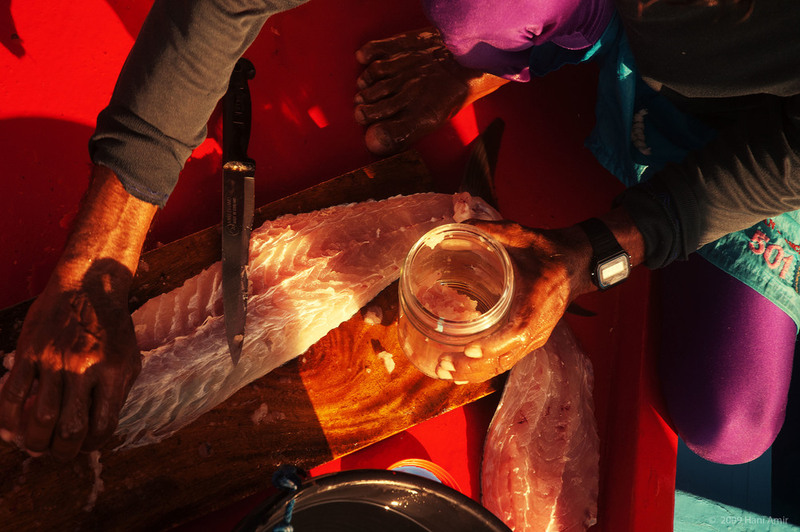 Despite the few courageous stragglers, the catch would almost always be entirely made up of different species of muguraan; exactly the kind of live bait that reef-fish find irresistible. 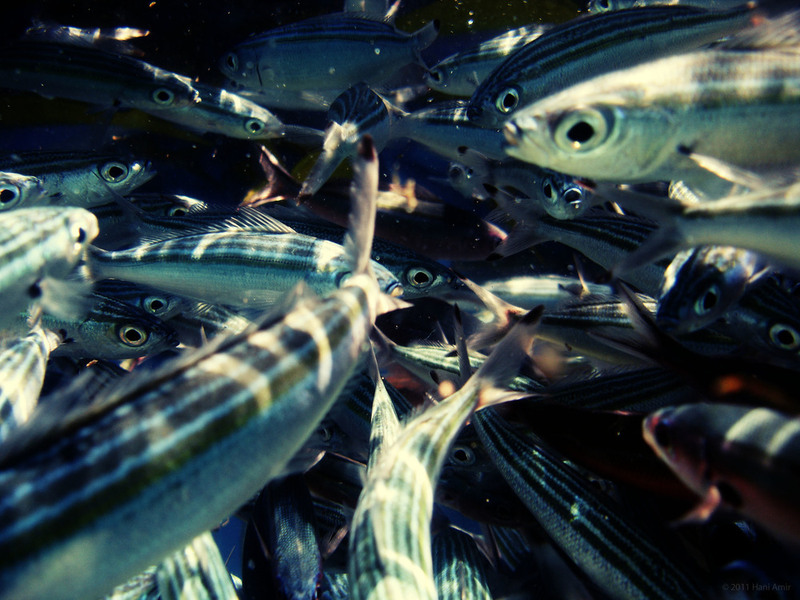 Bait hull full, they would set out to find a channel or reef where they can finally begin to catch the large reef-fish species from which they make their daily bread. 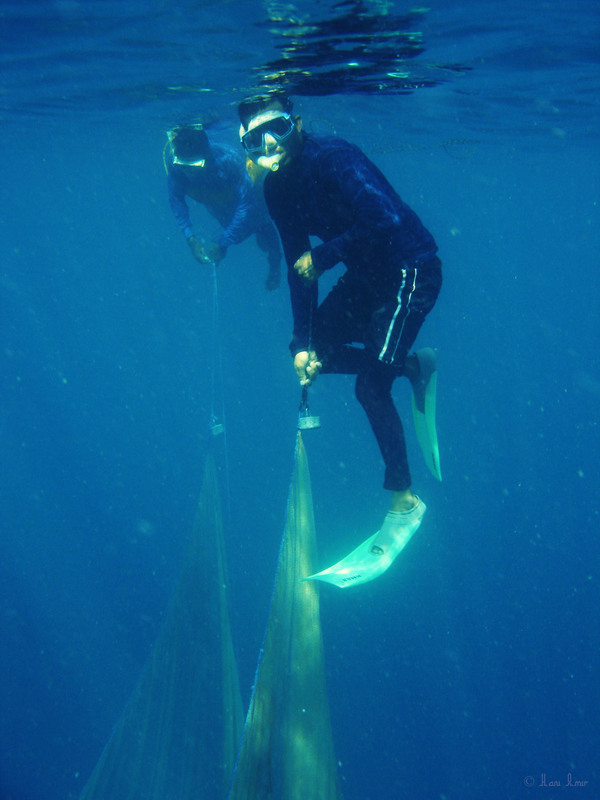 They do this with handlines, using the muguraan as both live bait and an attractant; with one of the men throwing fistfuls of the live fish out over the reef. 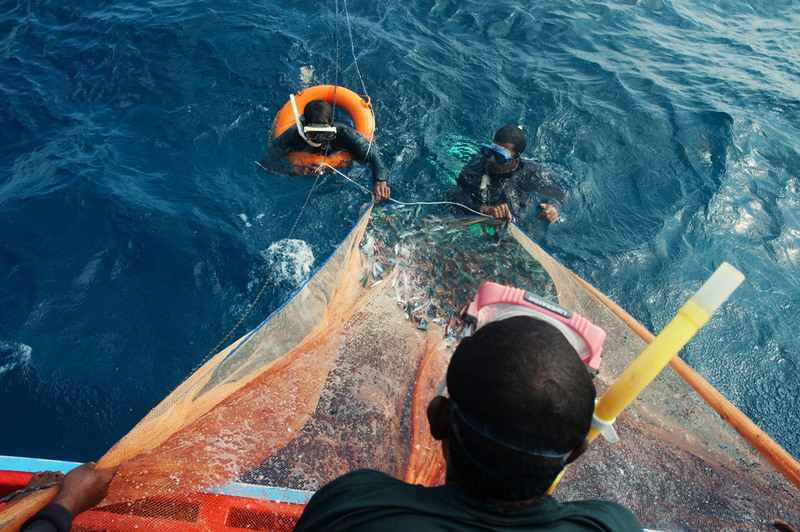 Because of the targeted nature, and also because the net never touches the bottom of the reef, I found this method of bait procurement and fishing to be incredibly efficient while having a marvellously low impact on the environment. The catch is stored in the hull until they reach the resort. Here you can see a variety of fish from snappers and groupers to jobfish and trevally. Juveniles and unwanted fish are usually released back. The daughters of one of the fishermen from Kudarikilu. These men work long and hard beneath the scorching tropical sun in order to support their families. Many have sun damage in their eyes because they do not own sunglasses to protect themselves from the harsh reflections of the sun against the ocean. Their lifestyle is worlds apart from the techno-centric denizens of the capital and the comfortable air-conditioned rooms of the resort owners that treat them so poorly. 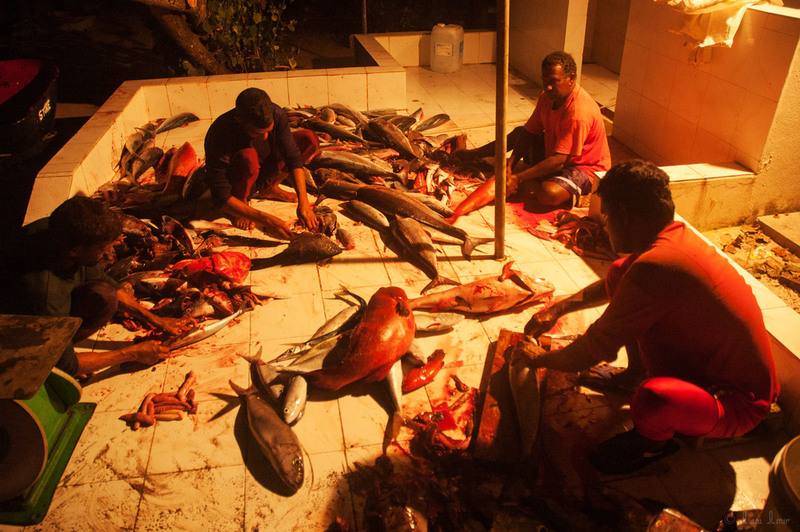 They work tirelessly to catch enough fish to earn a living while the overwhelming majority of the resorts treat them like slaves. They bought the fish at a per kilo rate that was abysmally low for the effort and work they put into catching it. As I recall back then (in 2009) they were being paid less than a dollar per kilo of fish that would later be sold to tourists at exorbitantly inflated rates per fillet. Indeed most of the justification for the prices they sell these premium dishes tourists for comes from the freshness of the fish. No doubt they are subconsciously misled to believe that the fishermen are being paid well. The irony of it is that it’s not hard to imagine more forward thinking people paying them extra because of the sustainability of their methods. Just imagine how difficult it has been to convince some fishermen in other countries to give up practices such as dynamite fishing and trawling for example. We asked some of the men if they had ever requested a raise and they replied saying that many of the resorts responded by threatening to import the fish instead. The livelihood of the fishermen, to the resort owners, was expendable and inconsequential; in other words, the fishermen weren’t selling the fish to the resorts, the resorts were allowing them to sell it to them as if they were doing them some favour. “They said that if we protest and ask for more money, they can easily import the fish we provide at even cheaper rates, what are we supposed to even do? We wouldn’t even have this money then!” said one man. The resort owners and managers were thus insidiously aware of the power they wielded over the fishermen as they were the ones who controlled their income. In some ways the hardest work only begins for these men at the end of the day. A few resorts would even make the men de-gut and prepare the fish for free, which would leave them at the resort for many hours into the night of what had already been a long and exhausting day. All of the resorts made them thoroughly clean up after they were done but from memory there was only one resort which provided adequate space and hygiene facilities for this task. The happiness the men felt whenever they sold to that particular resort was obvious on their faces and the manner with which they handled themselves during the task. By comparison, when gutting fish at other resorts, where the “facilities” would consist of a tiled floor with a few taps, there would always be an unease hanging in the air; a sickly feeling of unacknowledged oppression, broken only by the cheerful wisecracks that the men would pull on each other to lift spirits and break out of their tired daze. The rays gathered near the Dhoni in anticipation before the men had even stepped off from it. To add insult to injury, one of the resorts even forbade them to bring in the fish via the service docks. Instead they were forced to dock their dhoni at the edge and then wade through the lagoon until they reached the beach. 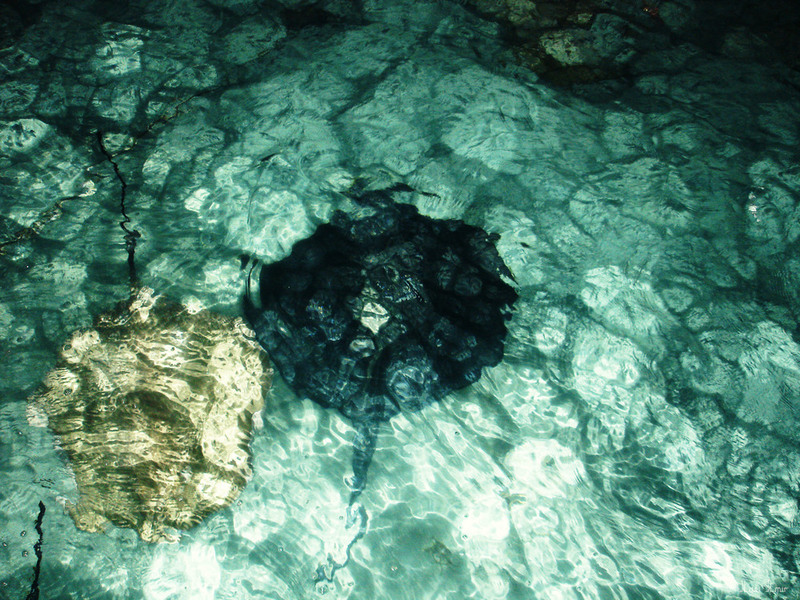 To get there, they had to pass through a shoal of enormous stingrays (it is common practice for resorts to regularly feed and “tame” them), which attacked the sacks full of fish with much vigour. Disgusted, several other Research Centre employees and I went to try and speak with the manager to see if he was aware of the situation. It turned out that he, even though he was a Maldivian himself, was more than aware and was instead rather pleased with himself for coming up with the arrangement. His justification was that it kept the service docks clean of blood and insisted that it would be terrible for a tourist to have to see such mess. The sting rays, he insisted, “were not that big a deal”. He said this with a straight face and an expression which seemed as if we should be thanking him for this great service. It didn’t help his case that the service docks, being what they were, were barely even seen by guests at all during the daytime; let alone at the late hours (often after 10PM, sometimes as late as midnight) that the fishermen came through. With their methods they show a natural love for the environment that was not born of books and research but from the sheer experience of having to rely on nature for their sustenance. They never admitted it or acknowledged it, but I could tell that they knew that their methods were just. They could easily use much more damaging methods of fisheries and increase their haul, exploiting the reef in the manner that the resort owners are exploiting them, but for some inexplicable reason they don’t. They care too much for these waters. They know every fish by name, they know every reef, they know every little uninhabited island that would eventually be turned into a resort and they knew what would come with that resort; the chains of oppression, disguised in the promise of opportunity and riches. More than anything else, most of the men seemed to know who they were. They were men of the sea and they did not struggle with themselves to accept that identity. Their ancestors had sailed these oceans since time immemorial. Long before the Mayflower, long before Mohammed, Jesus, or even Buddha had been born, Dhivehin had already started their love affair with the ocean. With handlines, determination and skill they would catch amounts that would make a trawler captain blush in shame. They knew how to fish and they were superb at it. They loved the ocean and the ocean loved them back. They were also among the nicest and most humble people I have ever met. This blatant exploitation and disrespect towards the artisans of our nation’s oldest profession by greedy businessmen is unacceptable and is one of the greatest unspoken tragedies of our island nation. All photographs © Hani Amir.